Browsing all articles in NES. Static finds out that being a man-eating werewolf isn’t as easy as it sounds. 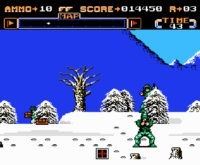 A stand-alone sequel to the NES version of Metal Gear, and one created without Hideo Kojima’s input, is surprisingly not as bad as you’d think. Avoid security, steal randomly-located documents, and make your escape through the basement. It would be an cinch, if it weren’t for those damned elevators. 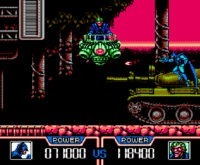 Bats battles through Sunsoft’s enjoyable sequel, inspired more by Contra and Mega Man than any of the movies or comics. 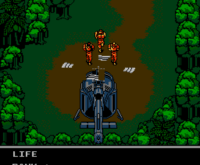 NES paintball – what else is there to say? Dust off the Zapper and shoot an opposing army. Ubergeek and his first grade English class take a crack at numbers with the Count. Since it’s on the NES, it uses 6…. 7…. 8! 8 bits! Ah ha ha!